Tickets for the 11th annual Rock On The Range have sold out in record time, just over one month after going on sale. 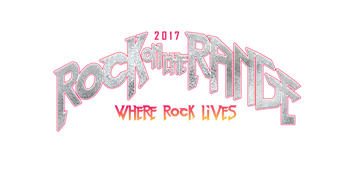 This marks the fifth consecutive advance sell-out for Rock On The Range, May 19, 20 and 21 at MAPFRE Stadium in Columbus, OH. Rock legends Metallica, Soundgarden and Korn will each headline one night of America's largest and most-acclaimed rock festival. +LIVE+, featuring the group's original lineup of Ed Kowalczyk (vocals, guitar), Chad Taylor (guitar, backing vocals), Patrick Dahlheimer (bass) and Chad Gracey (drums, percussion) has just been added to Rock On The Range, along with Of Mice & Men. The unprecedented Rock On The Range music lineup includes: Metallica, Soundgarden, Korn, The Offspring, Volbeat, Primus, Bush, +LIVE+, Chevelle, Papa Roach, Seether, Coheed and Cambria, Alter Bridge, The Pretty Reckless, Taking Back Sunday, Of Mice & Men, Thrice, Amon Amarth, Pierce The Veil, Sum 41, Skillet, Dillinger Escape Plan, In Flames, Gojira, Biffy Clyro, Motionless In White, Nothing More, Beartooth, Starset, Every Time I Die, The Story So Far, Deafheaven, Zakk Sabbath, Rival Sons, The Amity Affliction, Attila, Norma Jean, Suicide Silence, Whitechapel, I Prevail, Turnstile, Dinosaur Pile-Up, Red Fang, Dorothy, Kyng, Radkey, As Lions, Frank Carter & The Rattlesnakes, Sylar, Fire From The Gods, Badflower, Wage War, Goodbye June, Cover Your Tracks, DED, Bleeker, Royal Republic, Mother Feather, Aeges and One Less Reason. The ROTR Rolling Rock Comedy Tent will feature sets from nationally known comedians plus Columbus's top comedy talent. The full comedy lineup will be announced in the coming weeks. Rock On The Range celebrated its 10th year in 2016 — and after a decade of setting the standard for American rock festivals, the crown jewel of the World's Loudest Month showed no signs of slowing down, with 120,000 "Rangers" from around the globe descending on MAPFRE Stadium. Last year, the festival received awards of recognition from both Columbus Mayor Andrew J. Ginther and the City Council, as well as a resolution from the Franklin County Board of Commissioners acknowledging more than $140 million in economic impact that the festival has contributed to the city over its 10-year existence. Rock On The Range is supported by our rockin' sponsors: Monster Energy, Bud Light, and Zippo. These partners, along with many others, will feature interactive experiences, artist meet & greets, and other unique fan engagement opportunities throughout the festival. AEG Live is one of the largest live music companies in the world. The company is dedicated to all aspects of live contemporary music performances, including producing and promoting global and regional concert tours, music events and world-renowned festivals. AEG Live operates in North America, Europe and Asia through 16 regional offices that support its tours, which include such artists as Taylor Swift, Paul McCartney, The Rolling Stones, Justin Bieber, Katy Perry and Kenny Chesney; produces or supports over 25 music festivals, including the iconic Coachella Valley Music & Arts Festival; and owns, manages or books more than 60 clubs and theaters. AEG Live presents more than 8,000 shows annually worldwide and conducts business under such globally renowned brands as AEG Live, Goldenvoice, Concerts West, Messina Touring Group, Marshall Arts LTD, and Madison House Presents. Since 1993, music industry veteran Danny Wimmer has been producing concerts and festivals, both large and small. In 2011, he formed Danny Wimmer Presents, which now produces several of the largest rock and alternative festivals in the U.S. By combining A-list talent with local cuisine and culture, DWP has become recognized within the industry for delivering the highest-quality entertainment experiences to fans, artists, sponsors, partners and host cities. DWP creates memorable and all-encompassing festival experiences, leaving both consumers and partners with lasting and meaningful impressions. DWP will continue to add new music festivals to its already stellar portfolio, which includes Rock On The Range, Monster Energy Aftershock Festival, Monster Energy Welcome To Rockville, Monster Energy Carolina Rebellion, Louder Than Life, Monster Energy Rock Allegiance, and Chicago Open Air, among others. Precourt Sports Ventures, LLC (PSV) is a privately held investment and management firm focused on the sports-entertainment business, with a particular interest in the growing sport of soccer. As the Managing Partner, Anthony Precourt formed PSV in 2012. PSV currently owns and operates Columbus Crew SC of Major League Soccer and its iconic home: MAPFRE Stadium (pronounced "MAH-fray" Stadium). MAPFRE Stadium is the first ever soccer-specific stadium in Major League Soccer. It opened its doors on May 15, 1999 to a sellout crowd for a match and in 2016 Columbus Crew SC set single-season MAPFRE Stadium records for sellouts and total attendance. The venue continues to host numerous national and international soccer events while also serving as the proud home of the annual three-day festival Rock On The Range, which returns for the 11th installment in 2017. The venue was named the world's most influential stadium of the decade by Stadia Magazine in 2010, and has won a Sports Turf Managers Association Field of the Year Award in 2010, 2013 and 2015. In 2008, the venue added a permanent stage in the North End, allowing for up to 35,000 fans to take in concerts and other marquee events. MAPFRE Stadium received its current name in a historic partnership announced in 2015. Most companies spend their money on ad agencies, TV commercials, radio spots and billboards to tell you how good their products are. At Monster Energy, we chose none of the above. Instead we support the scene, our bands, our athletes and our fans. We back athletes so they can make a career out of their passion. We promote concert tours, so our favorite bands can visit your hometown. We celebrate with our fans and riders by throwing parties and making the coolest events we can think of a reality.